Georges Kern has been a busy man. Ever since taking over the reins of Breitling (incidentally, one of our sponsors for The A-List 2018) in the middle of last year, he’s launched a new Navitimer 8 collection, travelled around the world to promote the range, and expanded Breitling’s presence in multiple countries. And this month, Kern unveiled his latest marketing masterstroke – the #squadonamission advertising campaign. These three-people-strong squads come from different fields, including cinema, aviation, exploration and sport, and are handpicked for one reason: they are the very best in the world at what they do. “The squad initiative perfectly reflects our values and our philosophy. We aim for authenticity, credibility, and honesty for our brand and our products and also in our interactions with our clients. The same applies for each of the squads. Their members are absolute masters in their respective fields. I am very much looking forward to seeing them follow their passions and succeed in their missions in one (or more!) of Breitling’s environments – air, sea, and land,” said Kern. 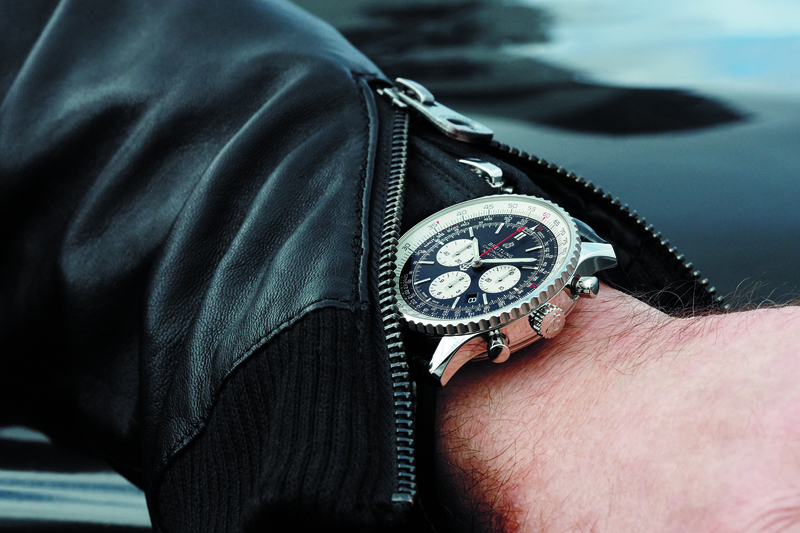 The first campaign to be unveiled naturally features the famous Breitling Jet Team squad. Formed more than a decade ago in 2003, the aerobatics specialists have been involved in crazy death-defying stunts and is the perfect reflection of the Breitling’s aviation heritage and derring do. “Our core values – team spirit, camaraderie, precision, style, and excellence – are all qualities that define Breitling. In watchmaking, as in aerobatics, nothing can be left to chance – everything is meticulously planned,” Breitling Jet Team Leader Jacques Bothelin explains. Other than the Jet Team, the other selected squads with campaigns rolling out in the coming months include exploration, cinematic, surfing, and triathlons. These squads were chosen to showcase Breitling’s expansion into the domains of land and sea. Stay tuned to our website in the coming months to check out the rest of the campaigns and watch the 30-second clip featuring the Breitling Jet Team squad below.